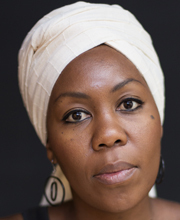 Sisonke is a South African writer whose work is focussed on race, gender and democracy. She has written for international publications including the New York Times, the Guardian, Newsweek and Al Jazeera. Her TEDTalk, If a Story Moves You, Act On it, which challenges society’s tendency to emphasize storytelling over facts and listening over action, has been watched over 1,250,000 times.